SLiP2000 Gun Lube and Extreme Weapons Lubricant (EWL) Advanced, High-Performance Synthetic Lubricants for Semi-Auto and Full-Auto/Select-Fire Tactical Firearms and Infantry Small Arms (Machine Guns!) | DefenseReview.com (DR): An online tactical technology and military defense technology magazine with particular focus on the latest and greatest tactical firearms news (tactical gun news), tactical gear news and tactical shooting news. Here at DefenseReview (DR), we publish a lot of detailed information on the latest and greatest tactical firearms, but we couldn’t keep those guns running without high-grade gun lube (lubricant). 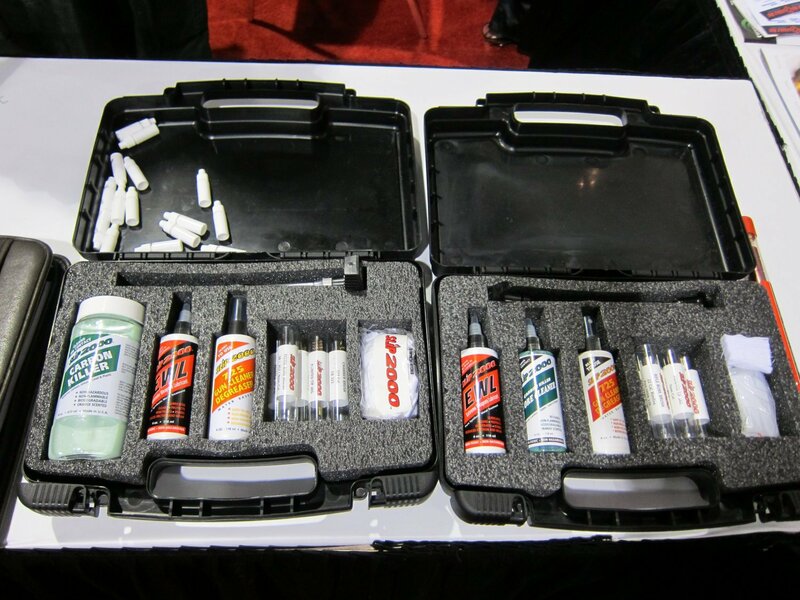 Two of our favorite products in this category are SliP2000 Gun Lube and SliP2000 EWL (Extreme Weapons Lubricant) multi-environment/multi-terrain synthetic lubricants. We’ve used both products on our semi-auto and full-auto/select-fire weapons over the last few years, and have been very pleased and satisfied with the results. In our experience, both products perform as advertised. 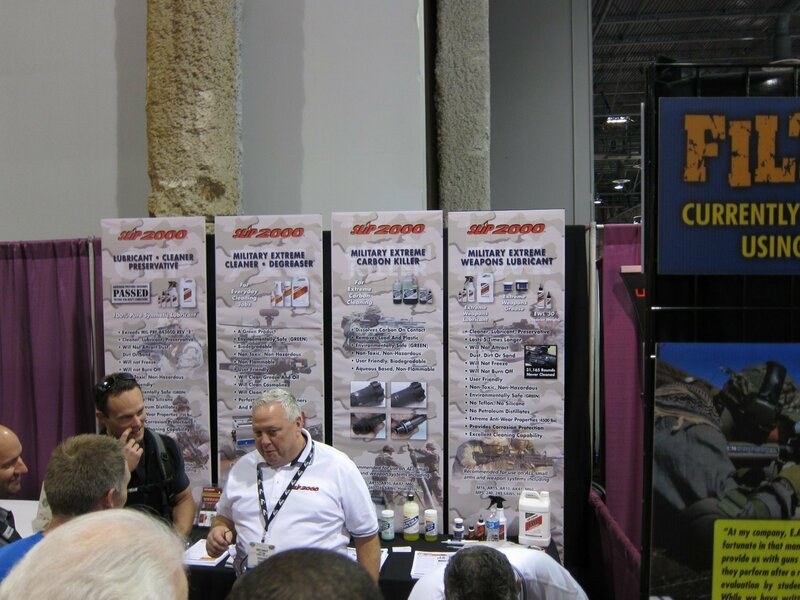 Anyway, we stopped by the SPS Marketing/SliP2000 booth at SHOT Show 2011 and snapped a few quick photos. The gentlemen at the booth were busy talking with other attendees, so just shot the photos real quick and vamoosed. 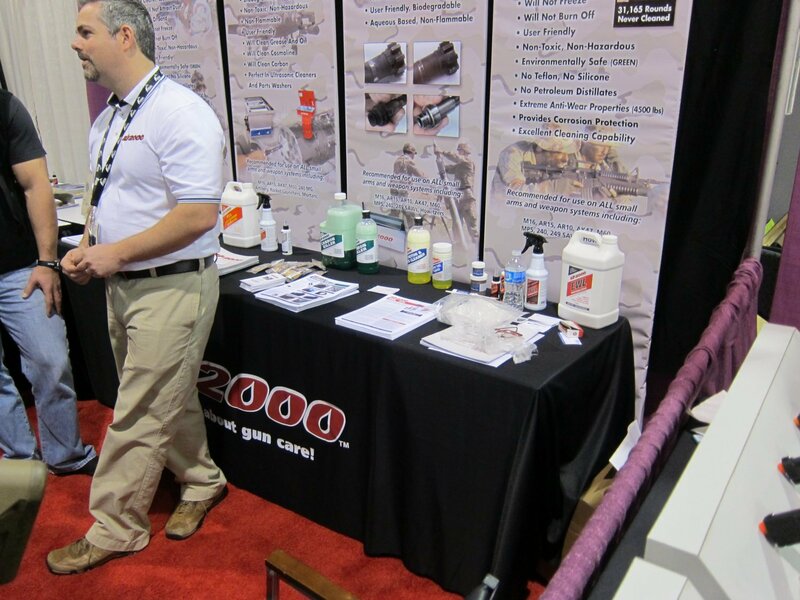 SliP 2000 Gun Lube was developed for use on semi-auto weapons, while SliP 2000 EWL was developed for use on machine guns, including select-fire tactical AR SBRs (AR-15 Short Barreled Rifles), submachine guns, light machine guns like the FN M249 SAW (Squad Automatic Weapon) and medium machine guns like the FN M240B/G. The main difference between the Gun Lube and Extreme Weapons Lubricant is the latter provides maximum performance under the increased heat and friction caused by heavy full-auto fire. I mentioned SliP2000 Gun Lube in a video clip we published last year of me shooting a tactical AR rifle/carbine shooting stage during our April 2010 tactical training trip to the great Pacific Northwest (Bellingham, WA area). The video was originally embedded in our article on the Personal Protective Systems (P2 Systems) Centurion Armor Maniple-I and Cohort-I Tactical Armor Carriers (tactical body armor carriers/tactical vests and tactical plate carriers), but we’re embedding it again, below (right below the still photos). At the beginning of the video clip, I talk about how important it is to keep your tactical AR rifle/carbine/SBR properly lubricated. By the way, SliP 2000 Gun Lube works just as well on squeaky door hinges! 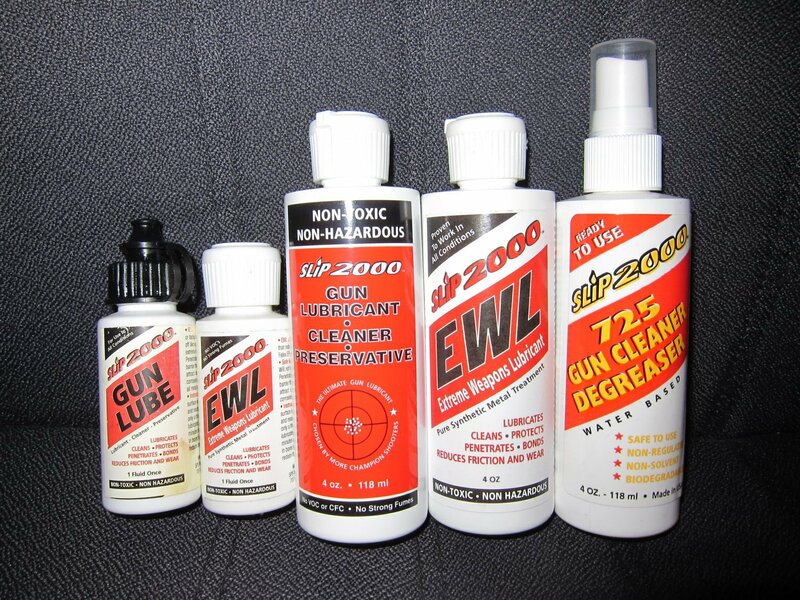 It’s DefenseReview’s understanding that SLiP2000 Gun Lube and EWL are non-toxic/bio-safe products (unconfirmed/unverified), at least that’s what we were told by the company’s owner at the 2008 NDIA Small Arms Systems Symposium. SPS also makes SLiP2000 725 Gun Cleaner/Degreaser, which the company classifies as a “Super Degreaser”, but DR hasn’t used this product, yet. The company literature on on it states that “This cleaner will cut through the toughest cosmoline, carbon, grease and grime! Its super strength allows it to degum and degunk the dirtiest of gun parts when sprayed on or used in parts washers or solvent tanks!”.